This will be a special LADIES ONLY event—thanks for joining us! Estimated Ammunition Required: About 200 rounds/day. 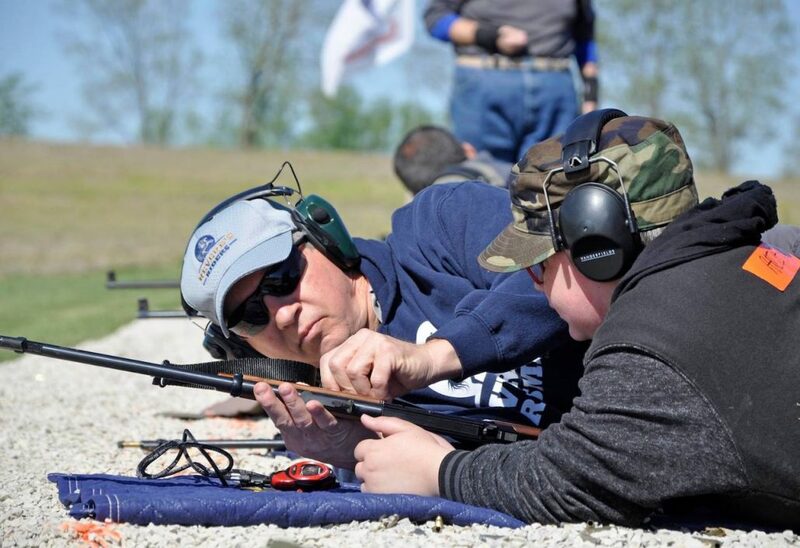 This course, based on traditional American service pistol fundamentals teaches “Hits Count!” This course lays a sound foundation for students to shoot groups under time pressure from a practical stance. 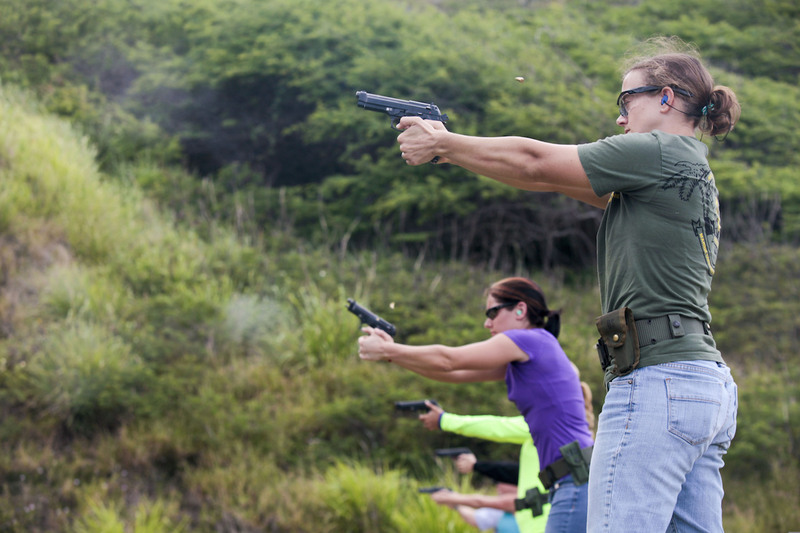 Pistol Requirements: You will need a safe pistol with at least five round capacity to fully participate in this course. Pistols should be of a modern, drop safe design. Older single action pistols manufactured before the 1980s and lacking a transfer bar safety are the most common type of pistol that lack drop safe design features, as do some military surplus imports from Eastern bloc countries and Taurus PT-series pistols not fixed during an international safety recall in 2015. These pistols may discharge if dropped and pose a potential safety hazard to our volunteers and students, and are not permitted. If you have concerns about the safety features of your pistol you should have it inspected by an armorer or gunsmith before class. Other Equipment Requirements: We will not be drawing from the holster in this class and we will run a “cold range.” You will not need a holster to participate in the class activities. Bring your lunch (there will not be time for you to leave the range and get lunch), any snacks and water to keep hydrated for the day. The firing line is sheltered from the elements but you may want to bring a folding chair for relaxing while listening to the history portion of the event. 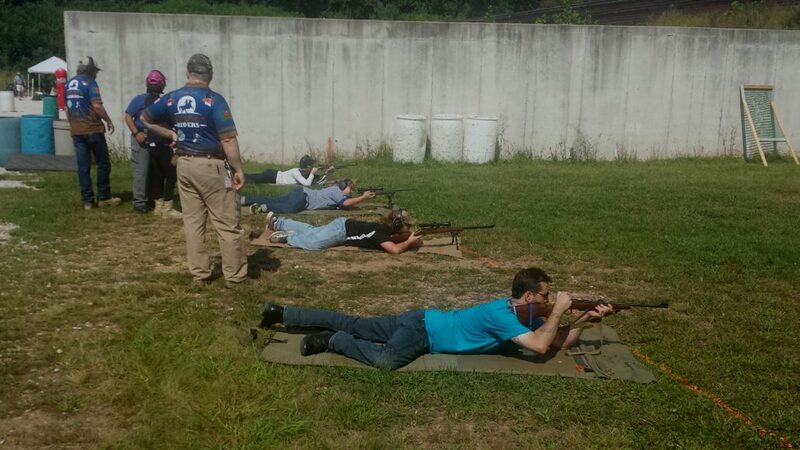 There will be an additional $30 range fee (payable the day of the event) for all participants including MCF&G members. 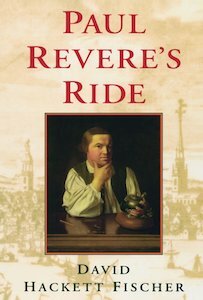 Our history presentations are based on “Paul Revere’s Ride” by David Hackett Fischer, a thoroughly researched recounting of the events leading up to the historic skirmishes between Patriots and Red Coats at Concord and Lexington on April 19, 1775. We will be giving away a softcover copy of “Paul Revere’s Ride” to one lucky participant at this event.